Unicake bag Wedding series attended the Wedding Happiness Gift competition which was held by Ministry of Economic Affairs, R. O. C.
The main core of the competition is to evoke a positive resonance of design into daily lif and educate many talents to show their creativity and innovate more products. So-called "Wedding Happiness Gift" is the gift that can delivery the feeling of happiness during the feast. There are many product designers, editors of wedding magazine, wedding consultants and well-known people to be judges on the competition. 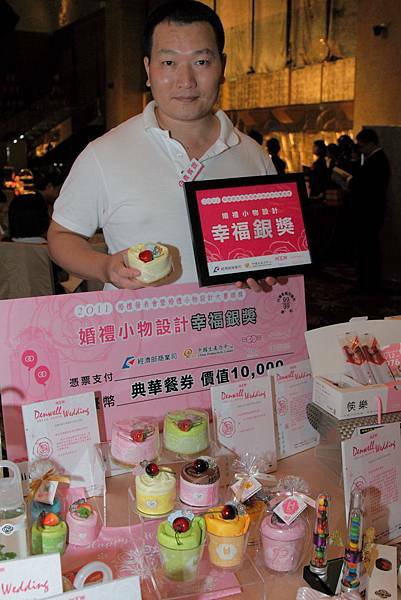 According to the "marketing", "content", "topic" and "issue of eco-friendly", Unicake bag Wedding series won the Silver award in the group of enterprises.